A new translation of German writer Norman Ohler’s "astonishing account" of methamphetamine addiction in the Third Reich "Der totale Rausch: Drogen im Dritten Reich" has recently been published in English. "Blitzed" details the Wehrmacht's apparently extensive drug and amphetamine use - but doesn't go into much detail on alcohol abuse. The sheer numbers of people serving must have included many who took refuge in drink, especially considering the pressures they were under. While something of an overlooked area of inquiry, it is not one that is entirely unknown. For example, Ernst Stilla's PhD doctoral thesis, the "Luftwaffe in the battle for air supremacy over Europe" **** (see link below) also looks at a variety of 'Human Factors' that are very rarely covered in the literature relating to the Luftwaffe, including alcohol and stimulant use and occasional abuse. And while this subject is rarely touched upon anywhere, it does crop up fairly often in memoirs and personal accounts. As one noted Luftwaffe author put it me " No one thought in units-per-week then. Nor were there any pills for post-traumatic stress syndrome, even if such a thing was recognised, which I doubt it was.." So while we should perhaps not apply contemporary standards of responsible drinking to the behaviour of all-male groups 70 years ago, under constant threat and not expecting to live long, there does appear to have been a culture of alcohol and stimulant use in the Luftwaffe - especially in 1943-45 as the general war situation deteriorated sharply. The drunken party in the Reichskanzlei in "Downfall" comes to mind — that actually happened as far as I am aware. Phrases like "nervous exhaustion" may have been euphemisms for some of the spells at Bad Wiessee where people were sent to 'dry out'. It probably goes without saying that all of this probably had a deleterious effect on performance. "...Leisure time was spent on individual activities such as horse‐riding, or hunting, abseiling or driving fast cars (quickly). To a man (Luftwaffe) fighter pilots enjoyed skiing – even those from northern Germany were keen winter sportsmen and all had a love of pure flying. 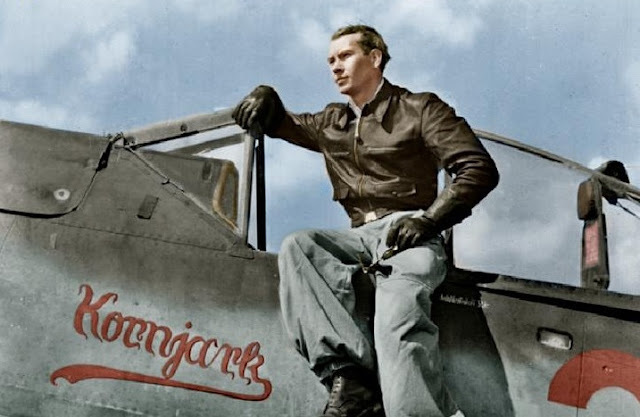 Comparative research shows that in contrast to day bomber, night fighter and transport pilots, who saw their role as procedural in nature, Jagdflieger had a passion for aerobatics. There was very little interest in team related sports. 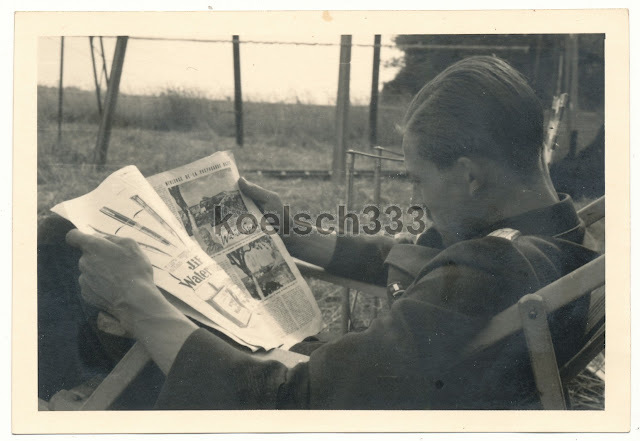 In line with the Nazi Party ethos of developing a strong Aryan race, organised squadron sporting activities were based on individual prowess, such as swimming, athletics or shooting...."
" ...The Jagdflieger had a love of good food and of quality wine and spirits. Whenever poor weather or the operational tempo permitted, pilots would frequent high quality restaurants, eat expensive local delicacies and drink the best alcohol available. Adapting to the local tastes was something the pilots loved doing. On evenings off the Jagdflieger - who considered themselves as elite, and conducted themselves accordingly- would rarely socialise in large crowds, preferring small groups of two or three. Pilots drank heavily but were rarely drunk in public, indeed sobriety was an essential ingredient in another of the pilot’s favourite pastimes – flirting...."
Drinking and boozing to excess could in fact take place in all conceivable situations; in periods of extremely tough front line service just as in times of rest and refit. Some men were drinking to overcome their fear, others to suppress the stress for a short while or the sadness caused by the loss of a close friend. Or out of sheer boredom. It was not just dreadful losses that would provide an excuse for a drink - it was victories, birthdays, bad flights, good flights, promotions, or a transfer by train rather than by aircraft. Bad weather could also be a good reason to head for the Kasino..
"..One evening we were already lying in our beds in the dormitory, our machine pistols hanging at the bed ends. [Fhr. Bernd] Jungfer comes into the room, grabs himself a machine pistol, aims at the lamp! "Stop! Quit messing around!" A salvo — lights out and darkness — lamp done for — holes in the ceiling. Next day, a visit from the Staffelkapitän, perhaps [it was] Hptm. Reither. Makes his way through the room, looks at the ceiling — Oh, Jesus! — sees the damage, walks on and says not a word. Well, well! " Excessive drinking is mentioned in quite a lot of publications and memoirs - Heinz Knoke in his " I flew for the Führer" was one of the first to describe several incidents of boozing to excess.
" Als der Kommandeur wieder draussen ist, hole ich eine Flasche Cognac aus dem Schrank. Nach zwei Stunden hole ich die zweite...der Alkohol laesst uns die vergangenen Wochen vergessen..."
"..when the Kommandeur had gone I fetched a bottle of Cognac from the cupboard. Two hours later I got a second bottle...the alcohol helped us forget the past few weeks.."
"...It stank like a pub and the beer bottles were lined up in batteries on the table. Lutzow (former inspector of fighter pilots) lay sprawled outstretched in a chair and painted shapes with his index finger in the spilled liquor on the table top .. "
".. We got tanked yesterday as we do every night. Female companions ? We have neither the time nor the desire. The 'cat' in the morning is almost normal ( the 'cat' = der Kater. Slang expression for 'hangover' ). Last night they came again, replenishment for the fallen, wounded and missing of the previous day.. "
Kommodore Galland explained to his biographers how 'bad weather' provided the opportunity to spend time in the bars of Lille or Paris. Their evening trips out meant an admittedly brief but priceless respite from the war zone. But as Mahurin writes in 'Hitler's fall guys"; ".. the men drank whatever was available in the country where stationed and, since France and Italy accounted for much of the fighter activity, there was plenty of wine. (…) In the fighter arm drinking was the cause of most of the disciplinary problems..."
This story is continued in Fw. 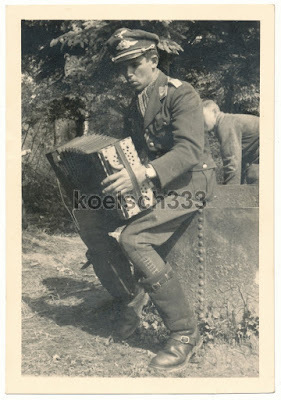 Emil Bernd’s diaries; “As the most experienced Schwarmführer of 6. Staffel I flew with six machines to Burg near Magdeburg. After a smooth landing I reported to Oblt. Krupinski; ” 6. Staffel with six machines, combat ready, one pilot indisposed! ” Ofhr. Grill was holding tightly to his port wing, throwing up his dinner eaten that previous evening in our mess. Krupinski, who was still in his cockpit in his pyjamas and parachute –which was all he was wearing- ordered a fitter standing close by,.. "Run over to Hptm. Mertens (I./JG 3 Kommandeur) and fetch me a uniform.."
" ...Konrad Bauer had next to no military bearing whatsoever. Undeniably the Defence of the Reich never exactly model soldiers, especially when it came to dress code and conforming with regulations. But it was in these areas that “Pitt” managed to outdo everyone. It is a fact that no disciplinary charges were ever leveled against him but was quite easy to understand why: he was one of the most formidable sharpshooters in the Gruppe.......you can imagine how he conducted himself and the effect this had on the young pilots who saw in him the archetypal fighter pilot. His behaviour was quite inappropriate. Above all he drank far more than was good for him, both before and after sorties… which did not seem to affect his abilities as a pilot! At the time I was rather lacking in maturity and could be counted among his admirers. He had come from Jagdgeschwader 51 Mölders and had brought down a considerable number of Soviet aircraft in a short space of time. He seemed just as sure of himself against the Americans. How could you fail to admire him? During the brief time I flew as his wingman, he taught me lots of very useful tricks for getting out of tight corners. I can recall one amusing detail. He had christened his 190 “Kornjark”. The inscription was emblazoned in highly visible letters on the fuselage. On my “Red 5”, I had the name “Schnarps” painted. This obviously stood for “Schnaps”. Whenever we landed at other strips after a sortie, we were always questioned about these inscriptions. With great aplomb, Bauer would always reply that they were 'not Nordic Christian names but spirits' - which of course was not entirely untrue….."
" Die Staffeln (...) bestanden zu einem sehr starken Teil aus ehemaligen Mehrmotflugzeugführern,die zwischenzeitlich auf einmot umgeschult hatten, und aus vielen Neulingen. 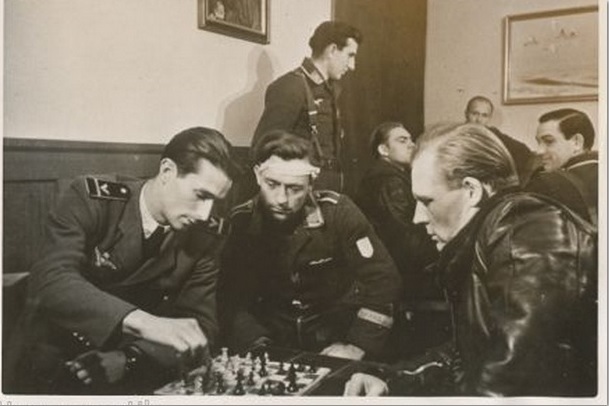 Es war nicht mehr so heimelig und kameradschaftlich wie früher, eine rechte Stimmung kam nicht auf und es wurde sehr viel getrunken .."
"..The Staffeln comprise mostly former multi-engine (bomber and transport) pilots retrained on fighters or new young pilots just out of training school. The atmosphere was no longer homely, there was little or no sense of comradeship as earlier - but there was an awful lot of drinking.."
These Nachwuchs have related some hair-raising stories; to (slightly mis-) quote Hubert Heckmann again , "...enemy to the left, enemy to the right, the way to ensure survival was to bale out if there was any risk of joining combat..better to be a coward for five minutes than dead for the rest of your life.."
In the specific case of Germany in the later years of the war, a wider understanding by the pilots of the nature of the regime that they were fighting for was probably an additional factor fracturing morale and leading some individuals to take solace in drink - the rise of "Wehrgeistige Führung" officers and later NSFOs could be a trigger for some of this. "..we were told that the enemy would still be out of it on New Year's Day after the revelries ..What we didn't know was that the Amis and the Tommies just didn't party like we did.."
".. the majority of the sorties I flew with my crew were long range over the ocean. Our Wekusta 2 machines took off from the Atlantic coast heading towards the north of Ireland, a relatively short distance for today's jets but a flight of several hours for our Ju 88s. Getting airborne from Nantes we would usually be feeling okay but by the time we arrived off the coast of Ireland fatigue would start to set in. 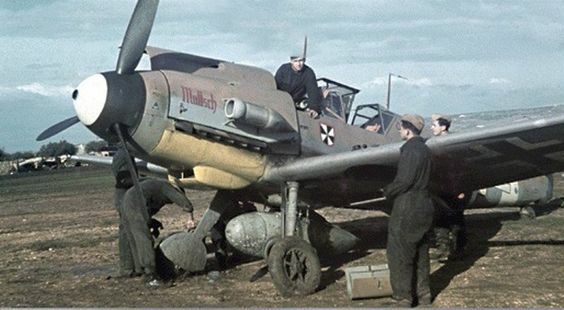 To combat this the Luftwaffe High Command had decided that in each aircraft a small stock of very effective stimulants would be available - Pervitin or similar. It was up to the individual crew member whether or not he availed himself of this. In my case I would take a pill when we reached Ireland. As pilot and aircraft commander I could not take the risk of having my performance impaired by tiredness. So I'd swallow a pill with a drink. It was enough to perk me up for some of the sometimes critical remaining moments of the sortie. The other crew members would do likewise if they felt that they needed to. Basically the pills were taken to keep us going through the mission all the way back to Nantes. By the time we were approaching Nantes to land at the end of the sortie fatigue was intense and, the effects of the first pill having virtually worn off, I'd swallow a second pill. You have to understand that a cup of coffee couldn't do what the pills did. Were there any side effects?Difficult to say.. possibly. 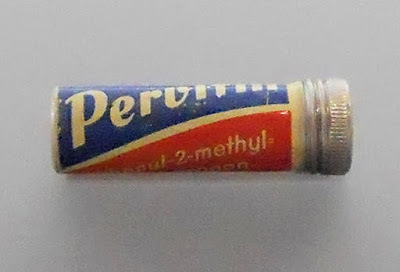 I will state though that taking Göring's pill hasn't stopped me reaching 93 years of age.."
Below; Pervitin. Benzadrine pills, an amphetamine - these were also given by the USAF to P-51 pilots; eg flying VLR sorties (Very Long Range) from Okinawa. RAF aircrew survival kits contained two packets of benzedrine tablets, clearly labelled as such. Crew bailing out at sea were to use them to stay awake so they could spot an ASR plane and fire a flare...but evaders on land used them to stay awake as long as possible to put as much distance as possible between themselves and where they came down. If Benzedrine was designed to keep combatants awake, it no doubt left them rather 'twitchy'. Alcohol must have had a calming effect in this circumstance and helped in 'winding down'.